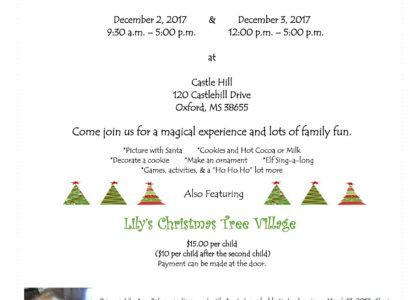 The “I Am Brave” non-profit organization that assists struggling women is holding its 2nd Santa’s Workshop at Castlehill. 100% of this year’s event will go to the family of Lily Baker. She’s a 3 year old girl from Oxford fighting leukemia.